Fast and easy to use, MacDermid LAVA thermal plate processing is optimized for processing 25 in. x 30 in. plates, supporting up to 42 in. x 60 in. for maximum productivity. LAVA integrates easily with the most popular front-end prepress systems and software, making it a plug-and-play solution for almost any workflow. Designed for the narrow web market, the LAVA 2530 plate processing system’s small footprint reduces platemaking space and can create press-ready plates in less than an hour, instantly improving productivity and workflow. LAVA thermal processing eliminates the need for solvents and makes in-house platemaking a viable option for the small printer. 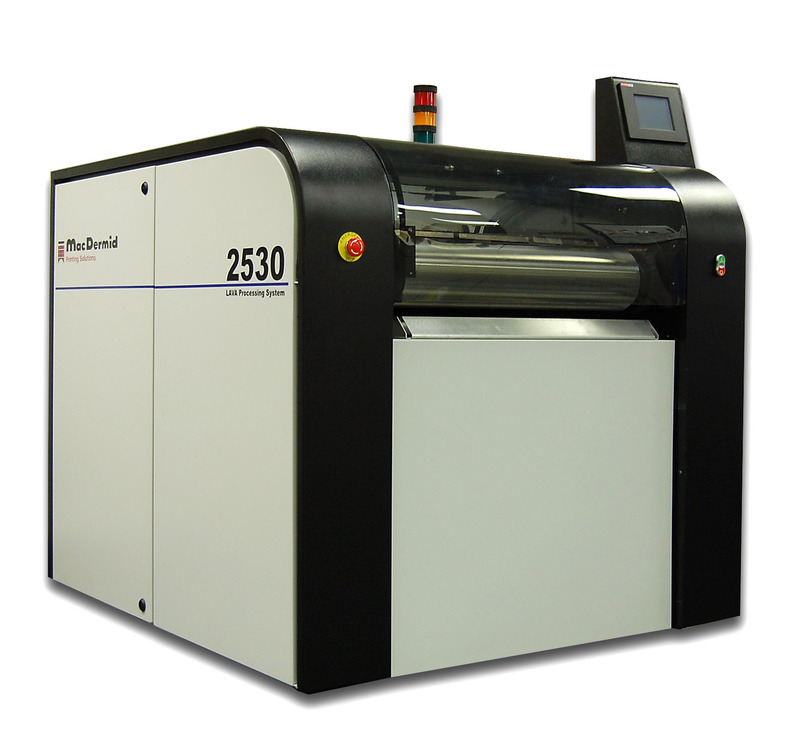 The LAVA 4260plate processing system posesses all the features and benefits of the LAVA 2530 processor, but is designed for the mid-web market. The MacDermid LAVA Plate Processing System represents the latest advancement in thermal platemaking technology from MacDermid. Thermal platemaking improves productivity and workflow, generating press-ready plates in less than an hour. Additionally, LAVA Thermal Plate Processing eliminates solvents and VOCs from the platemaking process, resulting in a more environmentally friendly process. 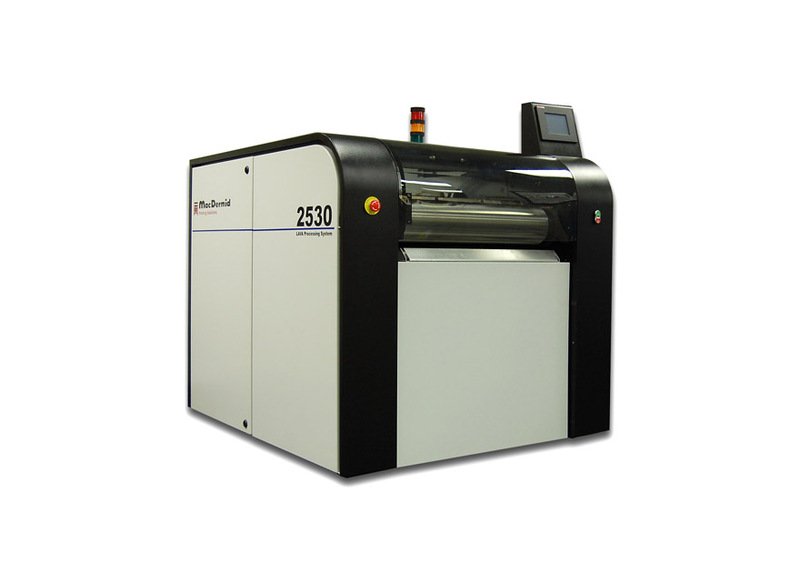 Available in three format sizes (seen above), the LAVA Plate Processing System is ideal for narrow web, mid-web, and now, even wide-web applications.